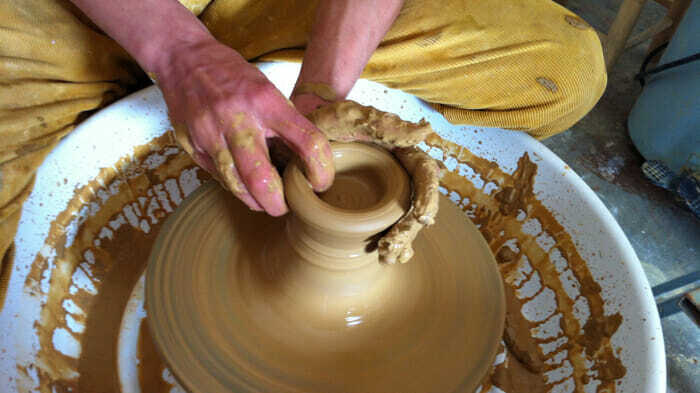 I took a short pottery class at La Bisbal d’Empordà, Spain. A great educational travel experience. I hope that I never stop learning, growing and stretching my boundaries. It seems others feel this way too for educational travel is on the rise. Educational tourists seek authentic ways to experience a destination. They enjoy learning new things while getting closer to the culture they’re exploring. To understand how we can travel to learn more effectively I spoke with Stacie Fasola of Road Scholar, a company that has been on my radar since I was in my twenties. At that time I was inspired by a couple in their 50s who were constantly traveling with Road Scholar to take courses and learn. My long-term respect for the not-for-profit organization is why I welcomed the opportunity to write a post sponsored by them. 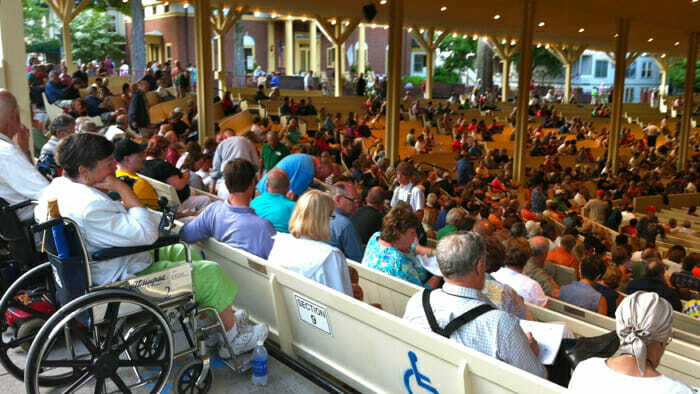 Chautauqua Institution is a wonderful opportunity for learning. You can go independently or with Road Scholar. Here are my questions and Stacie’s answers about educational travel. Please describe what educational travel is? Stacie: Educational travel might mean studying archaeology in Arizona or learning about zoology in Zambia. You might take art history in France or cooking in Italy. Educational travel includes experiences that develop new skills and knowledge and is not limited to a bricks and mortar classroom. Road Scholar has offered such learning adventures to adults over 50 for more than 40 years. Stacie: Educational travelers include women and men from all backgrounds and of all physical abilities. The common factor amongst educational travelers is curiosity. They want to see the world but they want to learn something extra as well. It’s especially great for solo travelers as it connects them with other people who share a love of learning. What does a great day feel like when you’re traveling for education. Stacie: A great day is one in which the traveler is challenged to learn something new or try something new in an inspiring environment. That environment might be a completely different culture or a different part of your own country. A great educational day might include learning about the architecture of Montreal or hiking the Inca Trail in Machu Picchu. A great day is stimulating and enriching and amongst friends. That latter piece is what Road Scholar does well. Our participants tell us that one of the best things about a Road Scholar program is the relationships they develop on our educational adventures. Are there places in the world that really cater to educational travelers or can you go to just about any destination and gain an educational experience? Stacie: There are so many places around the world where an enriching education can be found. We tap into universities and other resources to secure expert guides and lecturers. Programs range from one day to a 115 day adventure around the world aboard ship. You can do educational travel independently but I truly believe that our experience in putting programs together and our access to resources just can’t be replicated by any one person. What are your best tips for finding educational travel experiences? What should people look for in a tour? How can the independent traveler find educational options? It has been attributed to the Prophet Mohammed though that claim has been disputed. Regardless of the source educational travel gets you educated and well traveled..
Road Scholar sponsored this post. To learn more about their educational learning adventures, please visit their website at www.roadscholar.org.